The U.S. Senate Has Designated October 20, 2012, as the "National Day on Writing"
On September 19, 2012, Senate Resolution #565 supporting the designation of October 20, 2012, as the "National Day on Writing," was submitted to the U.S. Senate, considered, and agreed to by Unanimous Consent. as the ‘‘National Day on Writing." Expressing support for the designation of October 20, 2012, as the ‘‘National Day on Writing." (4) encourages educational institutions, businesses, community and civic associations, and other organizations to promote awareness of the National Day on Writing and celebrate the writing of the members those organizations through individual submissions to the National Gallery of Writing. I love that this Resolution honors the place writing has in our lives, acknowledges that the craft of writing is a lifelong learning process, and recognizes the many ways in which technology is expanding our ability to create and share our writing. In looking for a picture of a quill pen to add to this blog post, I found the official White House portrait of George Washington, the first President of the United States. I'm including a close-up of one portion of the portrait, here, because this not only shows Washington's quill pen, but more importantly, it shows all the books that are piled beneath his table. Several years ago, when I was packing to make a move, not only did I have to pack up (and give away) the thousands of books that were in our 14 bookcases, but there were also books in boxes, closets, and drawers, as well as stacked in piles all over the house. Oh, and I almost forgot... we used the dictionary as a doorstop, which guaranteed we could always find it when needed. 'What are you going to do to celebrate the National Day on Writing? 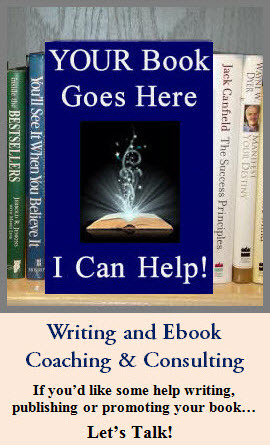 Want some help with your book or ebook? Julie Isaac helps authors and entrepreneurs create compelling content that builds their business while transforming reader’s lives. She works with clients to create a personalized roadmap for writing, monetizing, and marketing their book and blog. 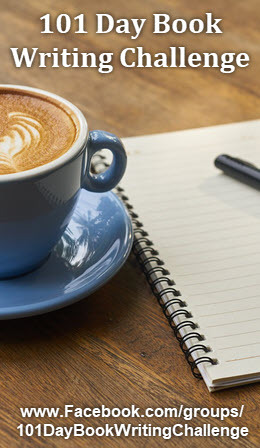 5 Keys to Creating an (Almost) Daily Writing Habit & Getting Your Book Done—Starting on January 1, 2019! Book Biz FAQs: What’s the quickest way I can monetize my nonfiction book?